A natural playground full of rock towers, large mesas, high mountains, riveting canyons, and lively forests, the expansive Sedona landscape provides for endless opportunities to explore on foot. 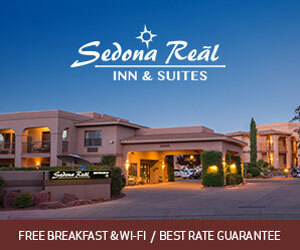 A knowledgeable staff will give tips about trails and help you find the right gear for your Sedona outdoor adventure. Guided climbing excursions in the majestic Coconino National Forest. Private and group hiking, backpacking, and camping tours of Sedona's beautiful Red Rock Country. Bell Rock Pathway meanders near the base of first two prominent red rock formations you see upon entering Sedona, Bell Rock and Courthouse Butte. Cathedral Rock Trail is a steep climb up to see panoramic views. Soldier’s Pass Trail leads you to Devil’s Kitchen Sinkhole and Seven Sacred Pools. Boynton Canyon, always a favorite, takes you along the floor of Sedona’s magical box canyon. Casner Canyon is a diverse hike with a section near Oak Creek and a challenging climb up the canyon to the Mogollon Rim. Where can I go hiking & backpacking in Sedona? With 80 established Sedona hiking trails and many side trails, choosing where to start may seem overwhelming at first; but there’s no need to worry, you simply can’t make a wrong choice, each trail offers a unique and magical Sedona experience. The following trails provided represent a sampling of each of the different areas of Sedona. You will often find multiple trails at each trailhead. 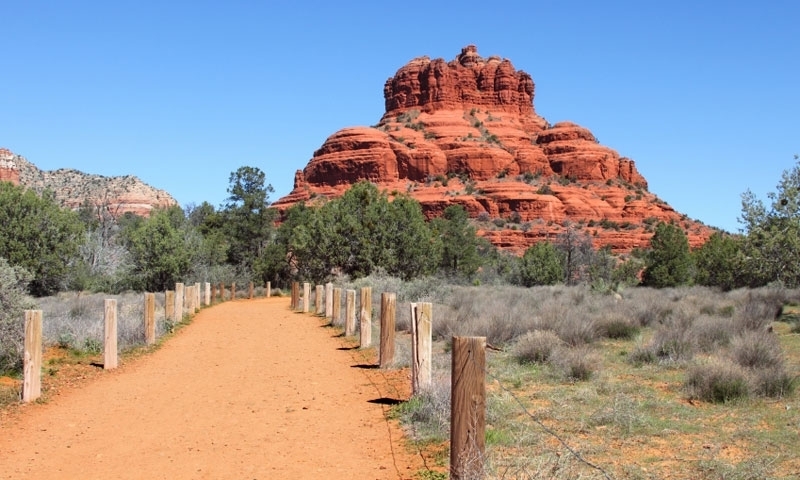 A good introduction to Sedona, this trail travels along the base of two notable red rock formations Bell Rock and Courthouse Butte. Trailhead: From intersection Hwy 89a/Hwy 179, drive south on Hwy 179 for 6.2 miles, turn left into the parking trailhead parking lot. A fun steep hike up to one of the most breathtaking rock structures in Sedona, Cathedral Rock. With amazing panoramic views, the top of this hike is a great place to watch sunset. Trailhead: From intersection Hwy 89a/Hwy 179, drive south on Hwy 179, turn right on Back O’Beyond Rd, trailhead parking is a short distance down the road on the left. Beautiful red rock pathways lead the way to Devil’s Kitchen sinkhole and Seven Sacred Pools and Soldier’s Pass Arches. Trailhead: From Intersection Hwy 89a/Hwy 179, drive west on Hwy 89a, turn right on Soldier’s Pass Rd, turn right on Rim Shadows Dr, the trailhead is a quarter mile down the road on the left. Admire diverse plant and wildlife, astonishing red rock beauty, lush forests, and blue skies in Boynton Canyon. Trailhead: From Uptown, drive west on Hwy 89a, turn right on Dry Creek Rd, drive for 6.1 miles and turn left at the stop sign following the sign for Boynton Canyon. Make a right at the next junction, continue until you see the trailhead parking on the right. This trail takes you on an epic journey across Oak Creek, up the canyon, and up to the rim just north of Schnebly Hill Vista. Trailhead: From Uptown, drive north on Hwy 89a for 2.6 miles where you will park at the mouth of a closed road. 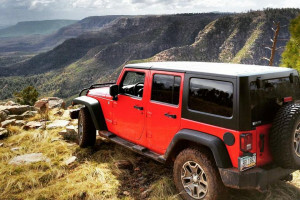 Whether you are interested in delving deep into the wilderness, a energetic vortex tour, or someone to lead you to some Sedona’s most notable features, these listings will help you find the perfect guide for your Sedona hiking adventure.